389 Summer Camps in for "Sunnyside, NY"
Improve as an individual athlete and teammate at our NYC summer basketball camp! Work on skills, drills, scrimmages and more at this all-inclusive Manhattan youth camp. Join us for an in-depth look into the life and training of an Olympic athlete. Campers are grouped based on their event and get event specific instruction - all events offered. 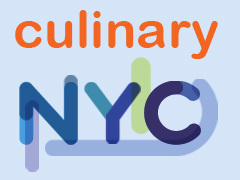 Premier culinary arts program for teens in New York City!